The cloud brings with it a loss of control by the IT department in managing user access. Single-sign on (SSO) to software-as-a-service (SaaS) offerings are in high demand, driving the need to precisely outline the separation of duties and privileges, the visibility of applications to users and the verification of security postures. A need that goes beyond the mere validation of credentials. 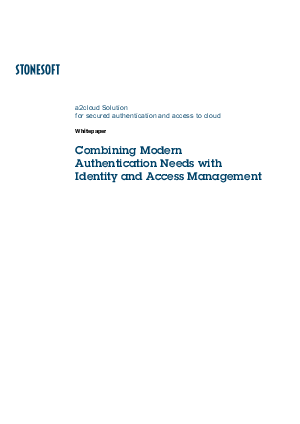 Download this whitepaper to learn how to combine modern authentication needs with identity and access management.